Note: Each browser has its own settings to control how PDFs open from a web page. Acrobat DC and Acrobat Reader DC do not include a preference setting to open web-based PDFs. 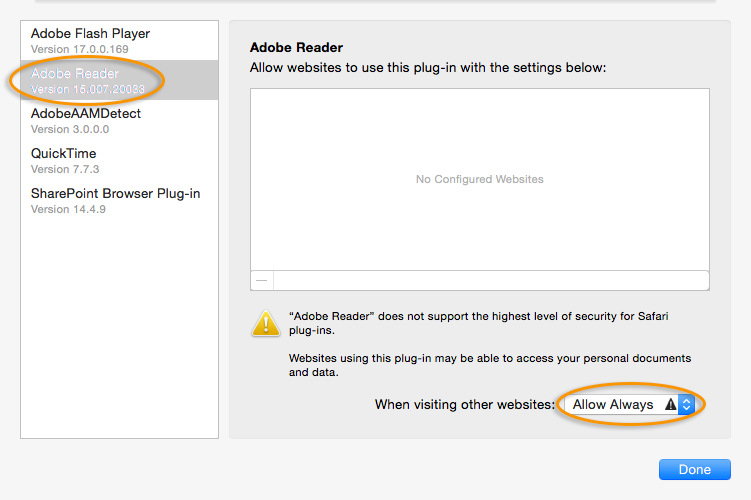 To change the display behavior, follow the instructions below for your browser, or see the browser documentation on how to control plug-ins or add-ons. Please use another browser, Edge is NOT compatible. The Edge browser will be the default browser, and Internet Explorer 11 will be available to support legacy workflows. The new Edge browser will not have any support for ActiveX plug-ins. 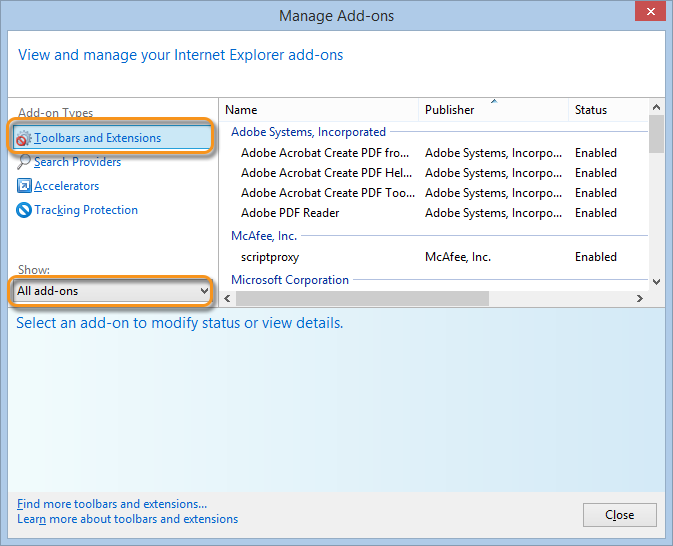 Therefore, the Acrobat/Reader plug-in won't work with Edge. Chrome and Acrobat are no longer compatible. The Acrobat/Reader plug-in for Google Chrome is based on the Netscape Plug-In API (NPAPI) technology. Google announced that in April 2015 NPAPI plug-in support would be disabled by default in the Google Chrome web browser, with an override capability for advanced users. 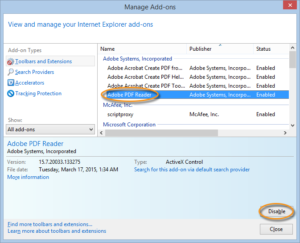 Note: If you do not see the Adobe PDF Reader add-on, try the other options on the menu. For example, on some systems, the add-on appears when you select Run Without Permission. 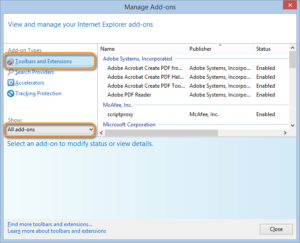 In the Add-ons Manager window, click the Plugins tab, then select Adobe Acrobat or Adobe Reader. Choose an appropriate option in the drop-down list next to the name of the plug-in. 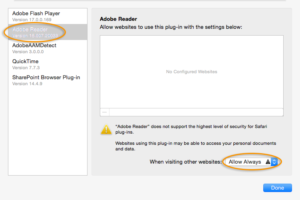 Always Activate sets the plug-in to open PDFs in the browser. 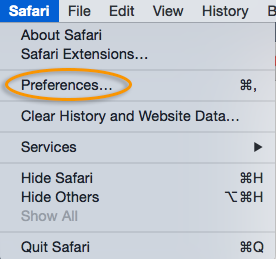 Ask to Activate prompts you to turn on the plug-in while opening PDFs in the browser. 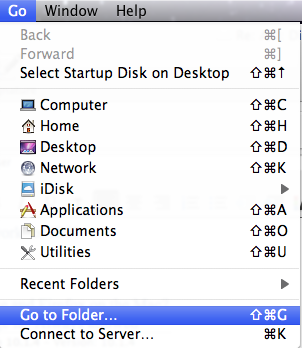 Never Activate turns off the plug-in so it does not open PDFs in the browser. 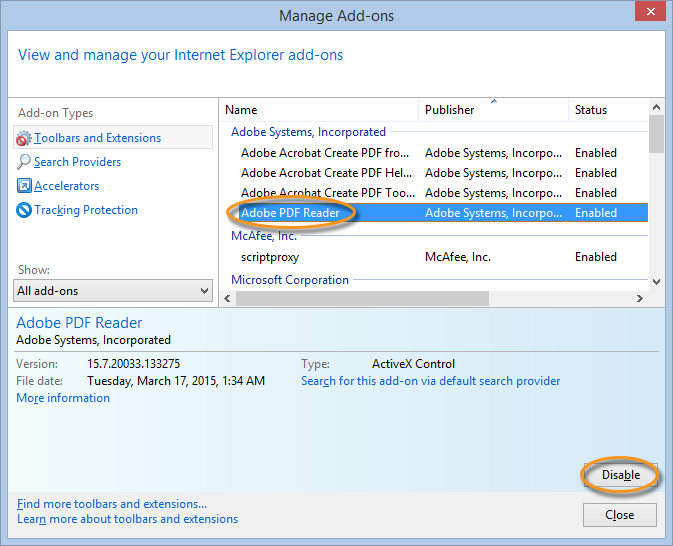 Note: This will set the browser to use the Adobe Reader plug-in to view PDFs. Log in as the root user. The root user privileges aren't enabled by default because the root user can change system files.